Perth, Aug 23, 2011 (Global Fashion Wire) - The Third International Conference of Fashion Incubators will be held at the Parmelia Hilton in Perth from the 11th until the 13th of September 2011. Ms Yen T.H Dam TOPICA Fashion Incubator and TOPICA Accelerator will be addressing the conference about the fashion industry in Vietnam. TOPICA launched the first fashion incubator program in Vietnam in conjunction with Elite Vietnam, and Yen will be sharing her experiences. The Third International Conference of Fashion Incubators is being hosted by community organisations Textile Clothing Footwear Resource Centre of WA (TCFWA), designedge Fashion Incubator, TCF Global and the Belmont BEC. These organisations provide those in the fashion, TCF creative industries access to business workshops, online mentoring, forums, industry cluster networks, and national and global linkages to other small businesses operating in the textile, clothing, footwear & leather industry across Australia and around the globe. The conference will offer new opportunities for fashion business educators and fashion trade events from around the globe to network, discuss best practice and expand global designer marketing and promotional opportunities. The Conference will aim to build on past successful conferences of International Fashion Incubators held in UK and USA. It will assist the growth and development of fashion industry business educators and those that nurture and support emerging designers, as well as elevating Perth on the international fashion stage. 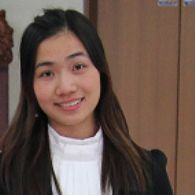 Conference Convenor, Carol Hanlon said "Yen is a Steering Committee Member of Asia Pacific Incubation Network (APIN), and it is fantastic that she will be able to represent Vietnam at our International Conference, TCFWA is a member of APIN which is part of the InfoDev Incubator global network. One of Western Australia's prominent fashion designers of Vietnamese origin, Hue Lee, has kindly offered to host Yen while she is in Perth."